139 days ago Liberty and Virginia Tech met in an open scrimmage in the Vines Center to benefit hurricane relief efforts. On Sunday, they will meet again, but this one will count as a trip to the Sweet 16 is on the line. Tip-off is scheduled for 7:10 p.m. eastern time on TBS. Liberty won a program record 29th win in the first round of the NCAA Tournament on Friday defeating Mississippi State 80-76. 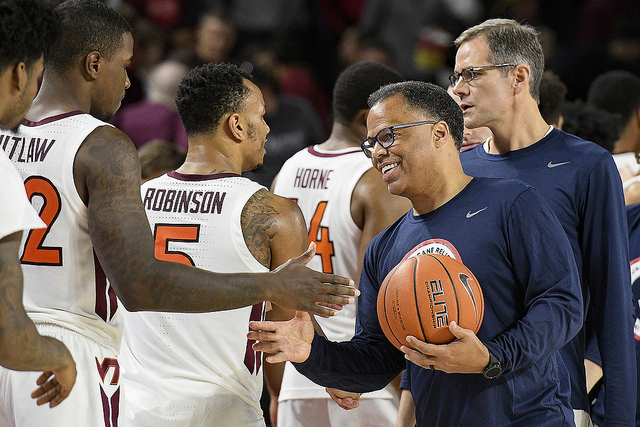 Virginia Tech (25-8) jumped out to an early lead on 13-seed Saint Louis and never trailed as they won their first NCAA Tournament game in 12 years, 66-52. The two schools are located just 87 miles away from each other but will meet nearly 3,000 miles away in San Jose, California. The winner will advance to Thursday’s Sweet 16 in Washington D.C. against the winner of overall number 1 seed Duke and 9-seed Central Florida. That game is also on Sunday, with tip-off scheduled for 5:15 p.m. eastern on CBS. In the exhibition game, Liberty led at halftime before Buzz Williams and his Hokies turned up their defensive intensity in the 2nd half, limiting the Flames to 37.5% shooting from the field in the final 20 minutes. Virginia Tech shot 63% from the field in the 2nd half and Justin Robinson had 20 points, 9 assists, and 4 rebounds. Elijah Cuffee led Liberty with 15 points. Nickeil Alexander-Walker scored 20 points in Virginia Tech’s win over the Billikens. Kerry Blackshear added 15 points. In his first game back after missing 12 games because of an injured left foot, Justin Robinson scored 9 points in 27 minutes off the bench. The Hokies have matched a school record with 25 wins and are looking to make the program’s first trip to the Sweet 16 since 1967. 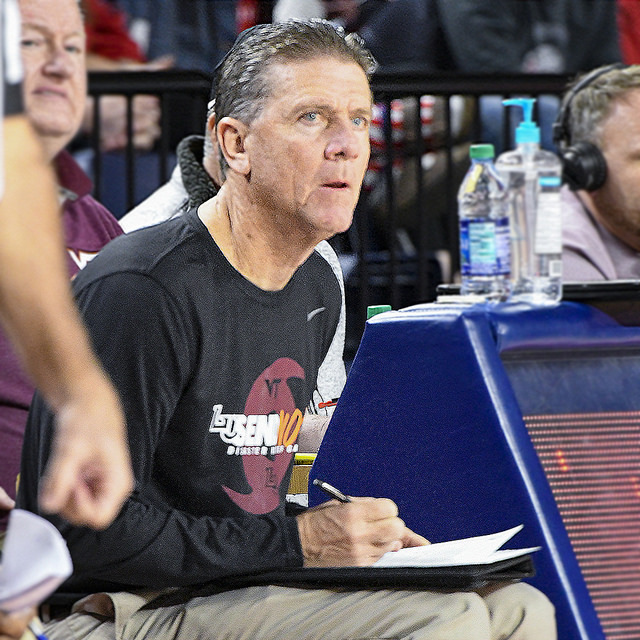 Former Liberty head coach Dale Layer is in his first season on Virginia Tech’s staff. Layer was the Flames’ head coach for 6 seasons in between McKay’s stints as head coach. He was 82-113 in his time at Liberty. Coach McKay picked up his first career win as a head coach in the NCAA Tournament on Friday as he looks to lead Liberty to the Sweet 16. McKay is now 1-1 in the NCAA Tournament, losing as a 12-seed with New Mexico in the first round of the 2005 Big Dance. Caleb Homesley will look to continue his stellar play from Friday night when he poured in a Liberty NCAA Tournament record and personal career high 30 points. He was 10-of-16 from the field and 5-of-11 from 3 point range with 4 rebounds in 33 minutes. Senior guard Lovell Cabbil had 18 points on just 8 field goal attempts while adding 5 assists and 2 rebounds in 30 minutes. Myo Baxter-Bell is coming off his best game of the season when he finished with 13 points, 4 rebounds, and 4 assists against Mississippi State. Liberty is 3-14 all-time against the Hokies, but this is obviously the first meeting in the NCAA Tournament.